Also remember to say something positive (this is always pink in our books) and something they can improve on (green in the books). You might notice that teachers will use ‘Mr Green’ when they give their next steps for children. If you are adding work to the blog, don’t add smileys. If you are commenting on someone’s writing, then smileys are great to show people what you think of their writing! Remember, only use one smiley for each comment. 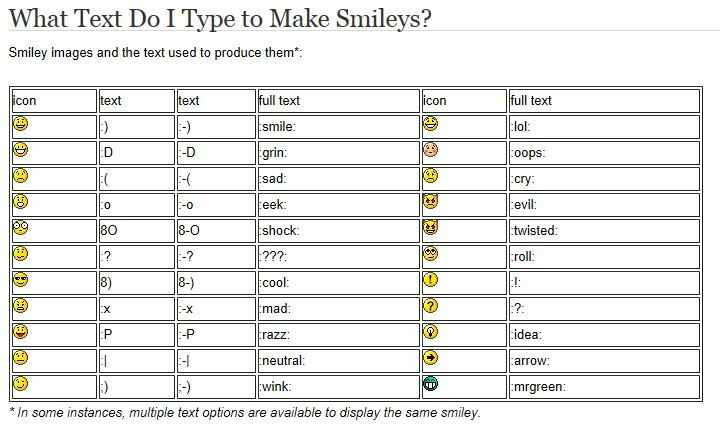 Finally, here’s a table to show you all of the different smileys that you can make. I hope your find all of this information useful. My favourites are the twisted and the sun glass faces because they are really funny. Tee hee!